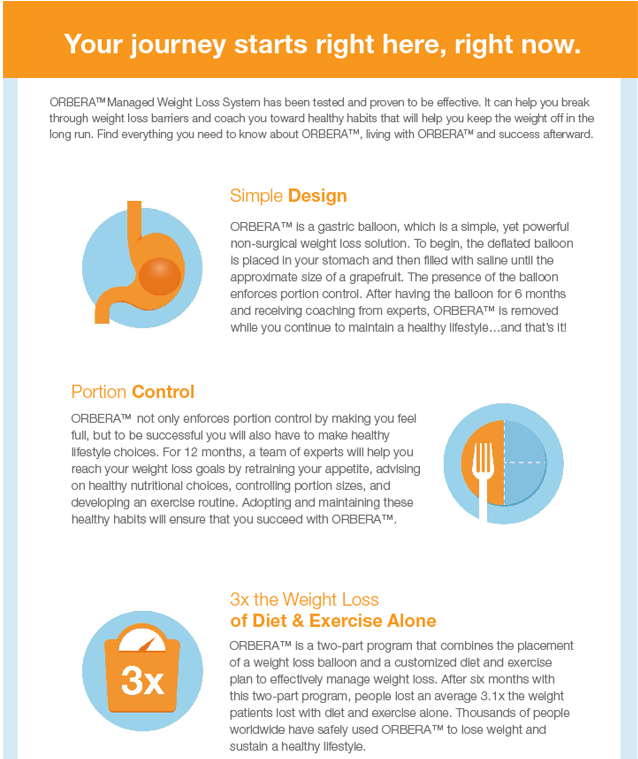 Welcome to your introduction to the Orbera Managed Weight Loss System. Before committing to this program, it is important that you have the appropriate amount of information to decide if this program is right for you. This course is designed so you understand the background of how we as a society have accumulated weight, the health and cost implications of being overweight as well as understanding the range of medical interventions for achieving a healthy weight. This includes diet and exercise as well as surgical and non-surgical options to include the Orbera gastric balloon. 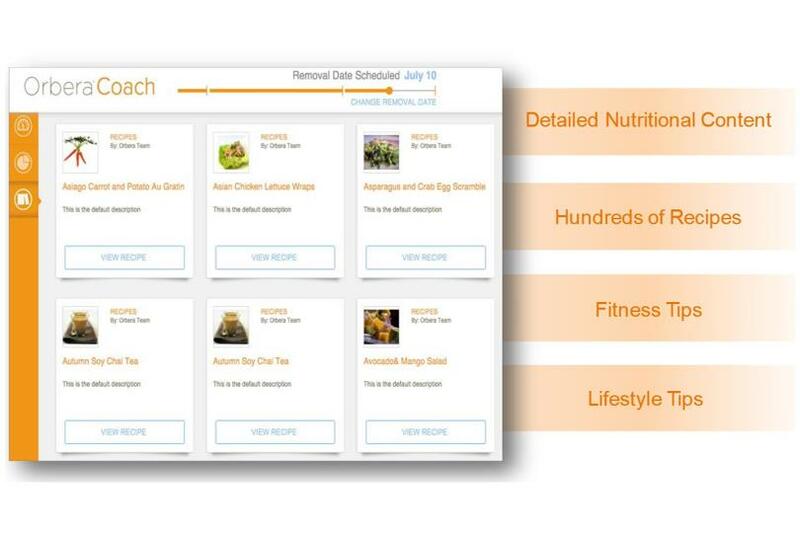 This course should provide you with the information you need to decide if any of these weight loss interventions are right for you. This information/course was developed jointly by Fernando Bonanni, MD and Abington Surgical Center where the Orbera Managed Weight Loss System is implemented. Dr. Bonanni is a board certified surgeon specializing in bariatrics and has been named one of Philadelphia's Magazine's "Top Docs" consecutively from 2011 through 2016. Upon completion of this course, you will be eligible for a consult with Dr. Bonanni to further discuss interventions for weight loss. The course (four sections in total) should take approximately 20 minutes to complete. Completing the course in one seating is recommended. There is no obligation associated with completing this course. It is required that you share your name and E-mail address to start/complete the course. Your information will not be shared or included on any distribution lists. Unless we hear from you expressing your interest, Abington Surgical Center will limit the use of your e-mail address to one contact to inquire if we can answer any additional questions specific to the Orbera Managed Weight Loss System. If you started this course anonymously, please go back now and provide your information so you are eligible (but not obligated) for a consult upon completion. 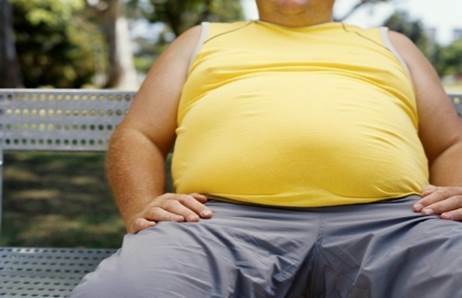 Obesity is a Chronic Disease marked by excess fat storage. Obesity is often a life long battle and progressive in nature. It is often genetically related, but it is always costly to both the individual and society. Obesity takes a toll on an individual's productivity and self-esteem in addition to creating a multitude of health related issues that further degrade wellness and greatly increase healthcare costs. It is also important that we understand that the factors in obesity are often genetic and environmental and not always within an individual's control. While obesity is almost never cured with a diet, will power or counting calories, (if it was, the weight loss industry wouldn't be worth approximately 60 billion dollars - we would be "cured" and never "diet" again) there are solutions to this disease. However, it is important that we first understand how obesity has come to be. Is obesity often cured with a diet? Where Are We Now and How Did This Happen? Approximately 100 million adults are clinically overweight. With childhood obesity on the rise, obesity has reached epidemic status. As a result, we are now starting to see a decrease in life expectancy by approximately 3-5 years. The answer to this question goes back to our pre-historic bodies. 10,000 years ago humans had a life expectancy of 14-20 years filled with arduous labor and a diet that was largely based on plant matter, animal meats and were naturally low salt and sugar. Meals were infrequent and survival was based on how efficiently a body utilized its food for fuel. As the world has evolved, many of these factors are out of people's control. Individuals can not control how our food system evolved and the sedentary nature of how we earn our living. Additionally, if one's body has not adapted well and now excessively stores fat, this trait can be passed genetically to the next generation. Do you know what your BMI is? Please use the chart below to calculate. This will be important when we later discuss weight loss interventions. It is also important to understand that individuals with a BMI of 30 or above are considered clinically obese. True or False. Approximately 100 Million Americans are overweight. The cost of obesity is reflected in our health and our bank accounts. With all of these common side effects due to being overweight, it is important to understand that the strain/overload on one or more of these systems equals premature death. There is a significant cost of obesity to both the individual and to society. It is clear that due to the costs to both the individual and society that being a healthy weight needs to be a priority. When is time to say "enough" and seek interventions beyond diet and exercise? Read on for some guidelines that can help answer that question. Metabolic Set Point. What is it and why is it important? The metabolic set point theory states that the body has a natural tendency to maintain a specific weight and will adjust internal body processes accordingly. If our bodies go above or below our set-point range, our metabolism will speed up or slow down to get our weight back in line. What if your metabolic set point is high? Diet and exercise can help bring your metabolic set point to a lower range, but if this is not carefully maintained, it will go back up to it's typical higher point. 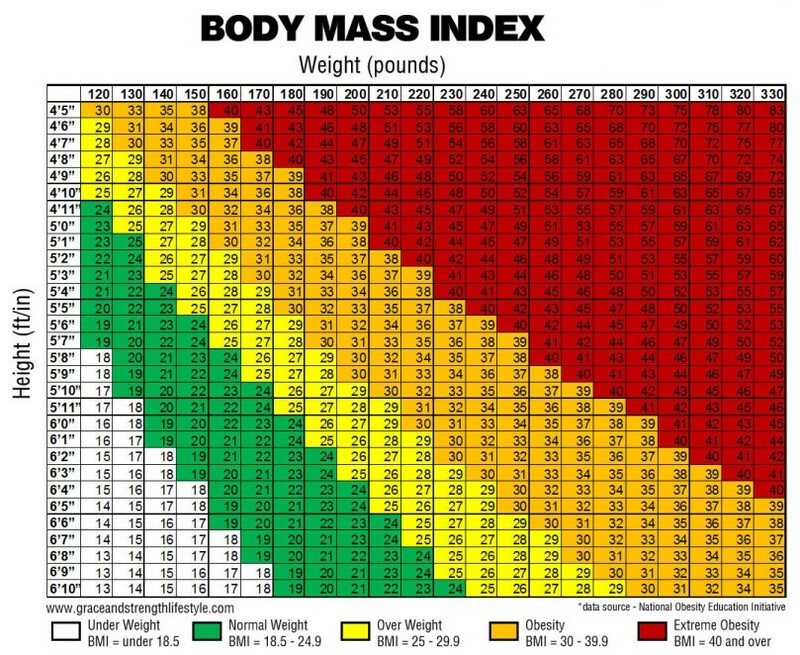 Do you remember your number from the BMI chart previously shown in this presentation? If your BMI is over 40 and has been there for a year or more, clinically, it will be very difficult for you to bring your metabolic set point back to a healthy range. In cases where BMI is in excess of 40 and has been over the course of several years, bariatric surgical treatment may be the only practical solution. Weight loss surgery disrupts the association between obesity and genetics which can fundamentally change the body’s set-point. If your BMI is between 30 and 40 and diet and exercise has not worked, there is an intervention known as gastric ballooning that is another option in addition to surgery that could be right for you. We explore both of these options in the next two sections. True or False. There are interventions available if your metabolic set point is naturally high. Surgical options are most appropriate for patients with a BMI over 40. 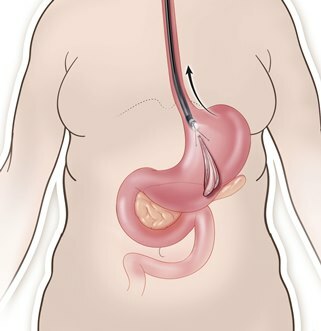 In the laparoscopic adjustable gastric banding procedure, a band containing an inflatable balloon is placed around the upper part of the stomach and fixed in place. This creates a small stomach pouch above the band with a very narrow opening to the rest of the stomach. A port is then placed under the skin of the abdomen. A tube connects the port to the band. By injecting or removing fluid through the port, the balloon can be inflated or deflated to adjust the size of the band. Gastric banding restricts the amount of food that your stomach can hold, so you feel full sooner, but it doesn't reduce the absorption of calories and nutrients. 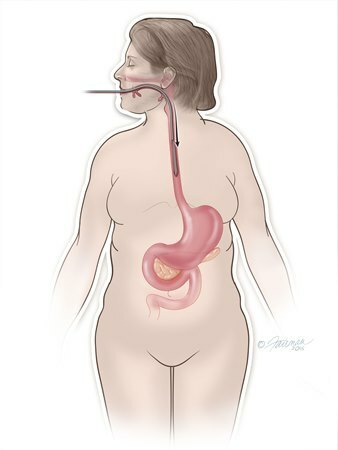 In Roux-en-Y gastric bypass, the surgeon creates a small pouch at the top of the stomach. The pouch is the only part of the stomach that receives food. This greatly limits the amount that you can comfortably eat and drink at one time. The small intestine is then cut a short distance below the main stomach and connected to the new pouch. Food flows directly from the pouch into this part of the intestine. The main part of the stomach, however, continues to make digestive juices. The portion of the intestine still attached to the main stomach is reattached farther down. This allows the digestive juices to flow to the small intestine. Because food now bypasses a portion of the small intestine, fewer nutrients and calories are absorbed. 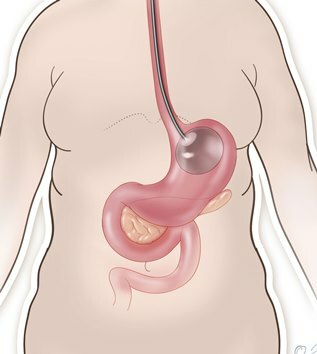 In a sleeve gastrectomy, part of the stomach is separated and removed from the body. The remaining section of the stomach is formed into a tube-like structure. This smaller stomach cannot hold as much food. It also produces less of the appetite-regulating hormone ghrelin, which may lessen your desire to eat. However, sleeve gastrectomy does not affect the absorption of calories and nutrients in the intestines. 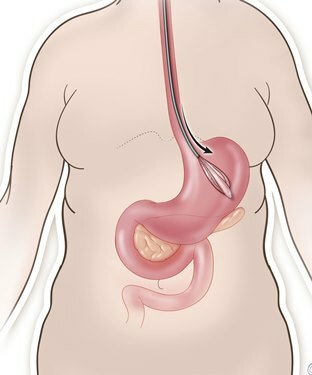 As with sleeve gastrectomy, this procedure begins with the surgeon removing a large part of the stomach. The valve that releases food to the small intestine is left, along with the first part of the small intestine, called the duodenum. The surgeon then closes off the middle section of the intestine and attaches the last part directly to the duodenum. This is the duodenal switch. The separated section of the intestine isn't removed from the body. Instead, it's reattached to the end of the intestine, allowing bile and pancreatic digestive juices to flow into this part of the intestine. This is the biliopancreatic diversion. As a result of these changes, food bypasses most of the small intestine, limiting the absorption of calories and nutrients. This, together with the smaller size of the stomach, leads to weight loss. While surgical options can be very effective, many patients reject them due to the invasive nature and potential side effects of the surgery. What Are My Options if My BMI is Under 40 But Diet and Exercise Have Not Been Effective? Until recently, there was a gap in options for people who have not successfully lost or kept the weight off with diet and exercise but did not qualify (or were not interested) in surgical options. Typically these people have a BMI between 30 and 40, have tried multiple diet plans with little to no success and feel stuck in their ability to lose weight. There is now an effective option for this group known as Gastric Ballooning. The Orbera Managed Weight Loss System is an FDA approved gastric balloon that was made available in the US in August of 2015 (it has been available internationally for over 20 years). Far less invasive than surgery, Orbera can be the perfect aid in learning new habits and more permanently lowering your metabolic set point. Step 1 - The balloon is entered endoscopically into the patient's stomach. Step 2 - Delivery of the balloon to the stomach. Step 3 - Balloon is inflated with saline in the stomach. 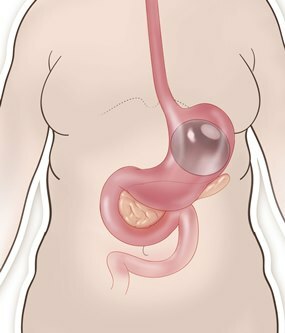 Step 4 - Balloon remains in stomach for six months during which time the patient relearns portion size through comprehensive support program to include nutrition and behavior modification. Step 5 - After six months, balloon is deflated endoscopically removed . True or False. Orbera is effective for patients with a BMI between 30 and 40. Studies have shown that support is essential in any weight loss program. The Orbera Managed Weight Loss System provides a comprehensive support program to ensure your success. Tools are available on demand via your smart device (iOS and Android) to work with today's busy lifestyles. 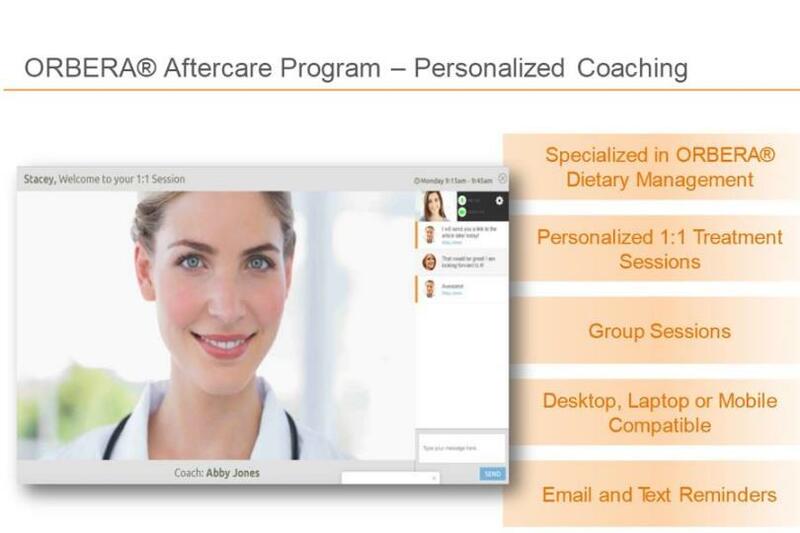 Monthly (total of 12) one on one personalized sessions with Orbera trained registered dieticians that includes motivational interviews, dietary assessments, etc. 12 group support sessions for motivational and educational content with a community of peers. 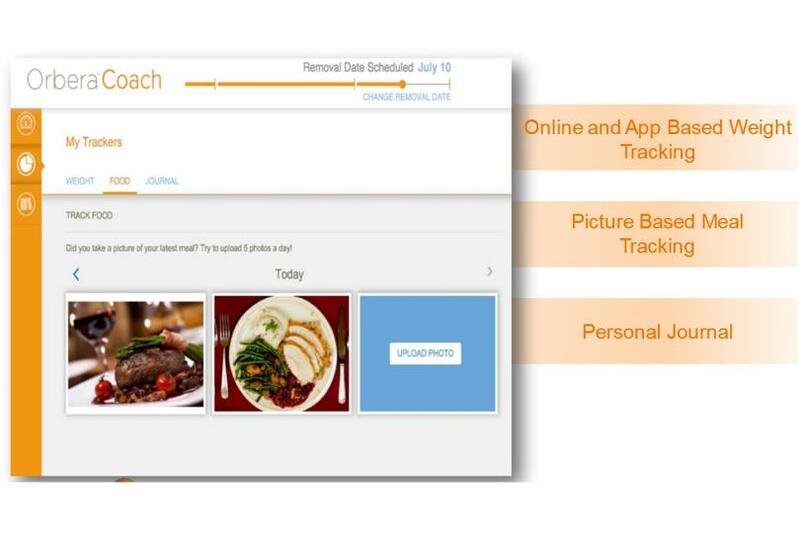 Ability to incorporate the latest behavior modification tools to include Fitbit, Apple Watch, etc. How much weight is lost varies from individual to individual, however, here is some information from the FDA trials. Patients lost 3.1 times more weight with Orbera than with diet and exercise alone. Patients saw a significant improvement in their quality of life. In the FDA trial, the most common side effects were nausea, vomiting and abdominal pain. It is important to note that during the FDA trial, patients received no interventions to manage these symptoms. Even without treatment 59.7% of patients found these side effects mild/easy to tolerate with only 5.8% being unable to participate in normal activities. It is important to note that outside of the FDA trial, patients are treated for these symptoms for greater manageability. Although Orbera was approved in the U.S. in August of 2015, it has been available in over 80 countries for over twenty years. In addition to the FDA trial there have been over 230 clinical studies demonstrating the safety and efficacy of gastric ballooning. In the FDA trials, no balloons deflated. In the unlikely event the balloon deflates,it can be confirmed by an x-ray and the balloon will be promptly removed. Although Orbera has been proven an effective tool for weight loss, long term weight loss requires lifestyle modification to include exercise and diet. The Orbera Managed Weight Loss System provides excellent support tools in these areas to ensure your success. True or False. In the FDA trial patients lost 38.4% of their excess weight with Orbera. Moving Forward. Is Orbera Right for You? If the Orbera Managed Weight Loss System looks like a solution to meet your weight loss goals, you will want to take the next steps. 1. Submit your results from this course to prove you have received the baseline information regarding the gastric ballooning procedure, safety and side effect profile. 2. Confirm that your BMI is between 30 and 40. Individuals with a BMI above 40 are not a candidate for the Orbera Weight Loss Management System. 3. Understand the finances. Currently, there is no insurance coverage for Orbera which means this is a cash pay procedure. To understand financial obligations, please give a call to the Abington Surgical Center. Dial 267-960-1406 and we will review the financial details. After these three steps are followed, you will need to go to your PCP for basic blood work/testing, schedule a psychological evaluation and have an initial consult with a nutritionist. These steps should be covered by your insurance. You will be guided on how to complete these steps during your financial phone call. Thank you for completing this course. We hope that the Orbera Managed Weight Loss System is a solution to meeting your weight loss goals. We wish you continued health and wellness!